Heehee. Well, you can’t blame them for the misplaced apostrophe, they’re only goats after all. 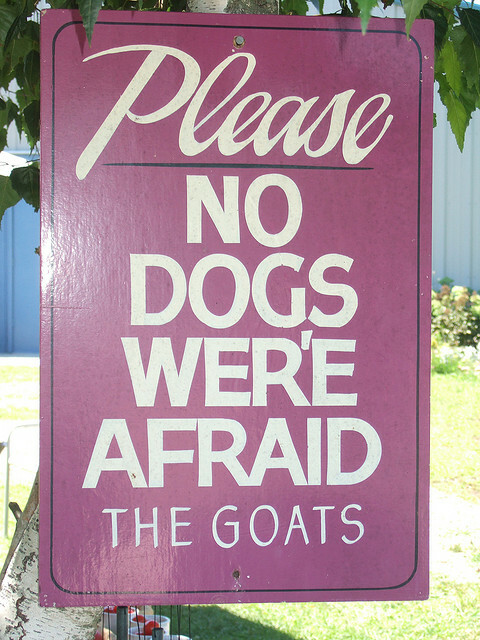 Nice to see they’re very polite goats, though. I agree, it’s hard to be upset with goats for having poor grammar. The sign is still funny though.